Deliver the promotional success your company deserves! 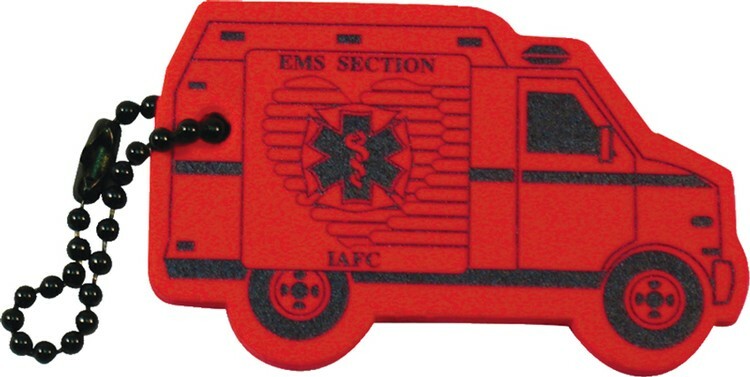 This convenient foam floating keychain in the shape of an ambulance is perfect as a giveaway for emergency, delivery and other transport services, as well as for boating, island resorts and swimming pools. This 3” x 1.8” EVA foam key tag is available in various bright colors, showcases your silkscreened logo, and will float and promote with up to 3 keys attached! Approx 2.5"…..Imprint Area: 1.25" x 0.75"